Pre-orders and full pricing are live on the Google Store. Google's annual phone announcements are always leaky, but this year we had the extra complication of the Pixel re-branding. Well, now it's all out in the open. Google has made the Pixel official, and it looks like the leaks were dead-on. 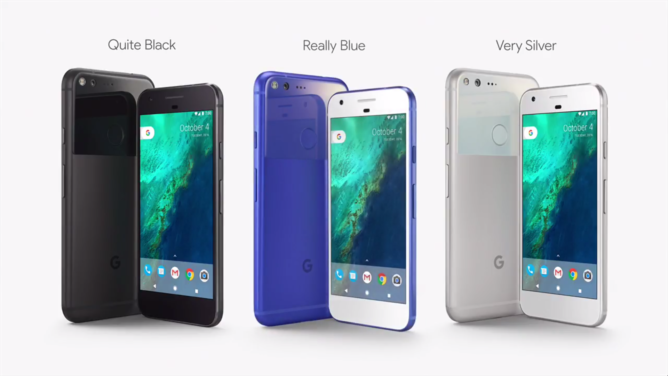 These are aluminum unibody devices, available in three different colors, and the pricing is much more "premium" than the Nexus devices were. Go big or go home, I guess. The Pixel and Pixel XL share a great deal. In fact, Google just refers to them both as "Pixel." Neither one is the cheap version like the 5X was last year. If you're one of those who have been begging for a small high-end phone, this is it. If you're more of a phablet person, Google's still got you covered. Here are the specs. The Pixel phones are shipping with Nougat, but we don't yet know if this is Android 7.1 yep, it's 7.1, but no details. Whatever changes there are, you do have the new Pixel Launcher. Google is framing its new hardware efforts in the context of making the Google Assistant a bigger part of your life. You can long-press the home button to launch Assistant at any time. What used to be On Tap is still there as part of Assistant. You swipe up after launching Assistant to get contextual cards. Google says the camera on the Pixel is the "best ever," which is based on DxOMark testing—it got an 89/100. We've seen a lot of these DxO numbers lately. If you put stock in that, the Pixel got the highest score ever. Google also notes that the Pixel has the shortest capture time of any phone they've tested. These phones also include free original quality upload to Photos (forever apparently). These phones will work with the Daydream View too. 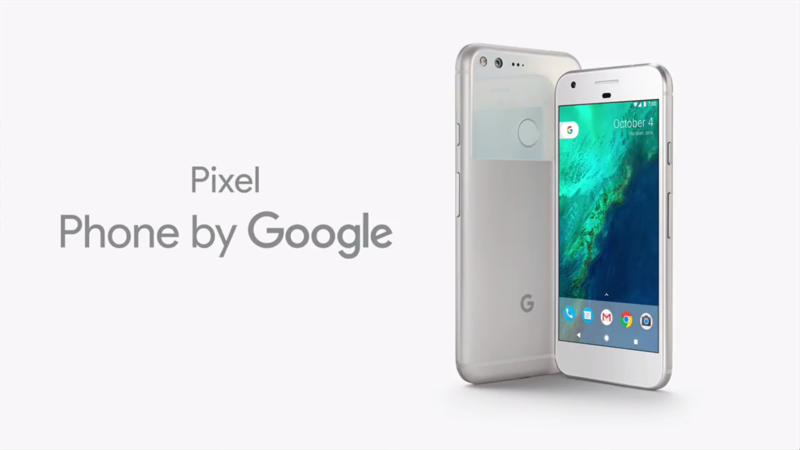 You can pre-order the Pixel and Pixel XL today, and they'll be shipped in time for the October 20th release date. Pricing is high, but Google confirmed financing will be available for those who pass a credit check. It'll probably be like getting a phone from your carrier on a payment plan. The Pixels start at $649 or $27 per month, and that's for the base 5-inch model. We don't have the full breakdown on pricing yet. 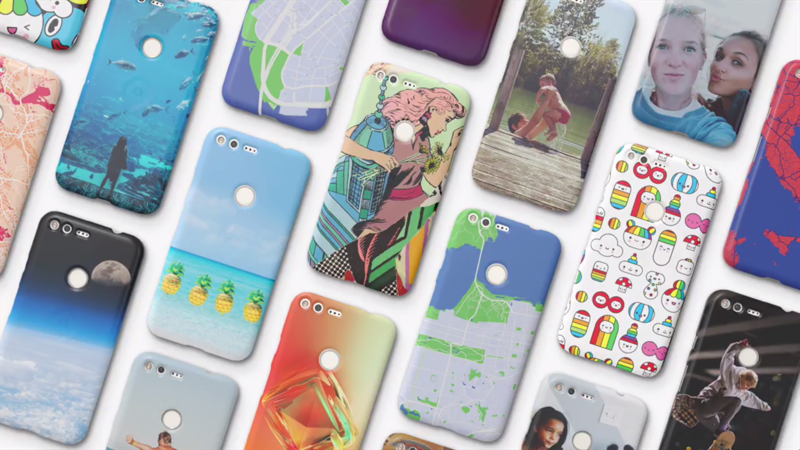 Pre-orders go live today on the Google Store and on Verizon, which is the only carrier partner. The phone will be unlocked, of course. We'll get you links as soon as we have them.